Have you heard of the Build Your Bundle sale yet? There has been so much buzz around the internet about this sale for the last few days. But is it worth it? Honestly, to me yes it is! I look forward to the Build Your Bundle sale every year. It's almost like Christmas to me. lol But seriously there isn't another time of the year that I can save up to 95% on my homeschool curriculum purchases. As a frugal homeschooling mom with a large family I look forward to shopping this sale every year. There are so many great products in this years bundle that it's so hard to pick just a few to highlight. But these are a few of my favourites that I've had a chance to look at so far. Mystery of History is one of my favourite history programs! They are perfect for all of my kids to learn from at the same time. This year there are 3 Mystery of History audio books and lapbooks included. Volume 1 is in Elementary Bundle #1, volume 2 is in Elementary Bundle #1 and volume 3 is in the Charlotte Mason Bundle. This is a 10 week Shakespeare course for kids in grades 7-12 but it also has tips on how to use the study with younger children too! I love all of the courses from Learn Music in Our Homeschool and I know this one will be a hit for our family. You'll find this in the Upper Grades Bundle #2. This unit study looks like so much fun! My kids were really wanting me to get this one for them. With this study you are brought into the family of a young girl. They travel across the ocean to North America to start a new life. Kid's learn about immigration and pioneer life. American Girl Curriculum is in the Brothers & Sisters Bundle. This is one book I was so excited to see in the bundle! This art curriculum includes over 65 lessons/100 pages and a 20-page sketchbook built into the back of the text. You'll find Lambs Book of Art 1 in the Elementary Bundle #1. Ok, some shameless self promotion here. lol But I truly do love my Claude Monet study! I created this for my children so that we could have stress free picture studies and it really works. You can learn more about my Monet study here or check it out in the Charlotte Mason Bundle. I love, love Ellen McHenry's science curriculum! I was really excited to see that her new book is included in this years bundle. 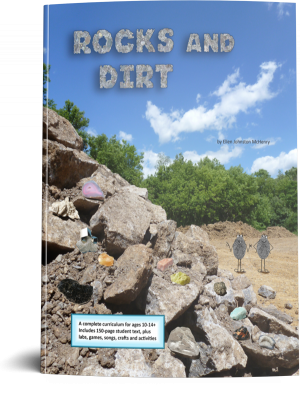 This new science book doesn't just cover the normal rocks and minerals but dives into the study of soil as well. As permaculture gardeners this is going to be a fun one to work on over the summer with my kids! You'll find it in the Elementary Bundle #1. Well... umm... all of it. Yup, that's right I bought ALL the pre assembled bundles in the sale. I've done that some other years as well when there is just so many amazing curriculum that I know I'll use in the next few years. I also took advantage of the courses and membership discounts to renew my Homeschool Tracker subscription at 50% off. I dearly love Homeschool Tracker and I've been using it for years since it was a desktop only program. Now that it's online I love the flexibility even more! I also bought a membership to SchoolhouseTeachers.com at 50% off because mine was coming up for renewal soon. I love this homeschool resource! I've been a member since it first started and it's simply amazing. With over 300 classes for kids of all ages and grades I've always been able to find what I need. I LOVE the piano lessons from Hoffman Academy! You can read my review of it here. This is such a great deal to get a years worth of the premium lessons at half price I just couldn't pass it up. I just had to pick up the Unbreakable Faith course! 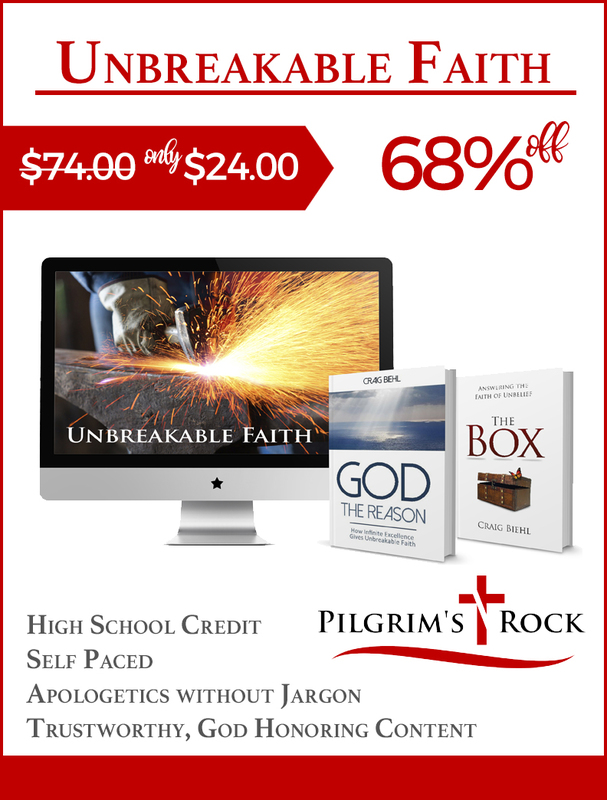 This apologetics course is worth 1 high school credit and is 68% off right now. I previewed the videos and it's going to be a perfect fit for my oldest daughter. My second oldest might also take this course with her next fall. I've been hearing so many wonderful things about Skill Trek that I jumped at the chance to get a membership for 50% off! Skill Trek teaches kid's real life skills. It covers 18 categories of lessons from gardening, emergency preparedness, outdoor survival, financial skills and much more. I was going to save this and start using it in the fall but I think it will be perfect for summer activities! My kid's love hands on learning so this will be a perfect fit! Buying all the bundles using the buy 2 get 1 free method let me get over $5000 worth of curriculum for only $370! Now am I saying that you should run over and buy all the bundles too? No, not necessarily! What each family needs will be different. I have 6 children who range from preschool age to high school so I'm able to make use of most of what's in the bundles over the next few years. I'm also a wee bit of a curriculum junky err hoarder. Curriculum can be expensive and it's possible to spend what I did for all of the bundles on just 1 years worth of curriculum for 1 child. But taking advantage of this blessing I can pickup years worth of curriculum for multiple children and save a ton of money. I love to buy the digital versions of my curriculum because I live in Canada and it's expensive to ship books from the USA here. My book shelves are already bursting with books. I have many children so I love digital curriculum for easily printing multiple copies so they can work together. It just isn't happening if I have to photocopy pages. It's so much cheeper! You could never get a sale of up to 95% off printed curriculum like this. So what should you do if you would like to buy a few bundles and take advantage of the buy 2 get 1 free? Simply organize your order so that you are buying the 3 most expensive bundles at the same time. This is because the lowest price bundle is always going to be marked as the free one. What are your favourite products in the Build Your Bundle sale?